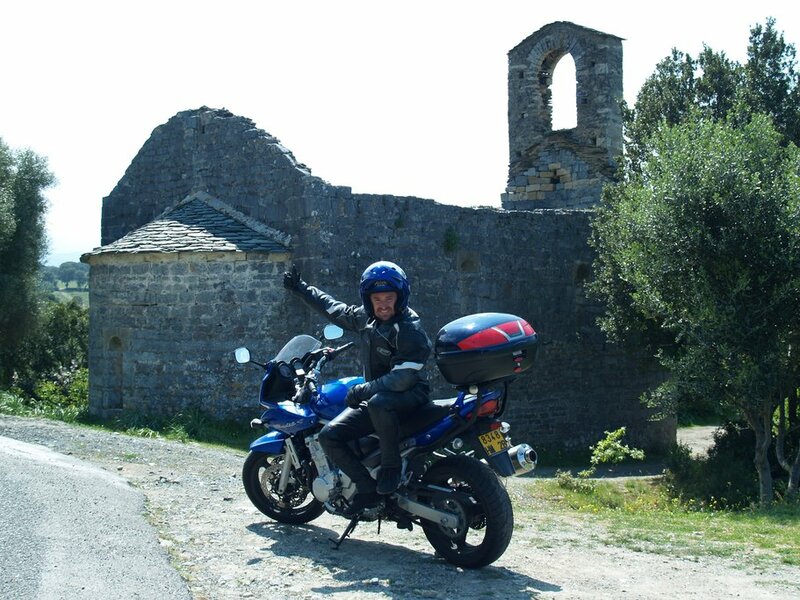 Perfect for avid motorcyclists and those seeking an off-the-beaten-track adventure, this 6-day tour winds through quiet back roads to charming Corsican villages, beautiful beaches, and some of the best hotels on the island. 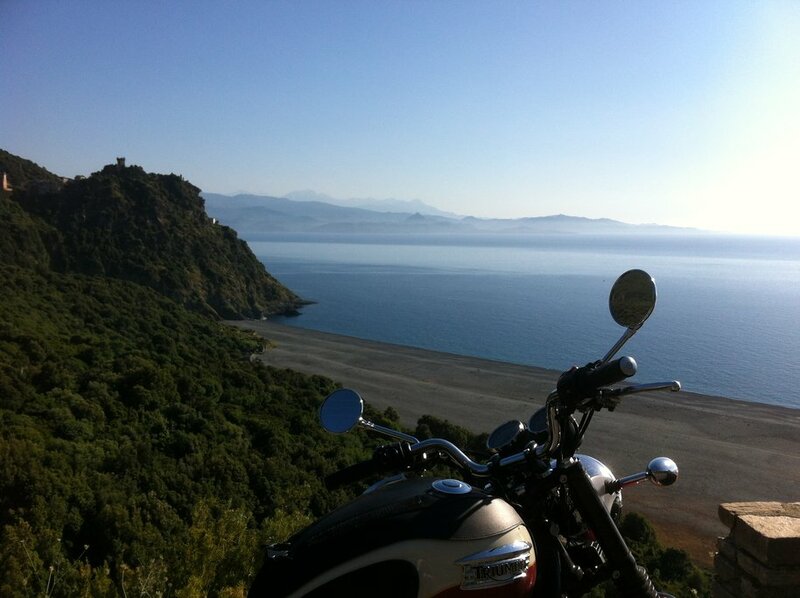 Arrive at Bastia airport and pick up your motorbike rental. If you arrive early enough, take the pretty roads to the resort of Saint Florent, a former fishing village now full of pleasure cruisers. 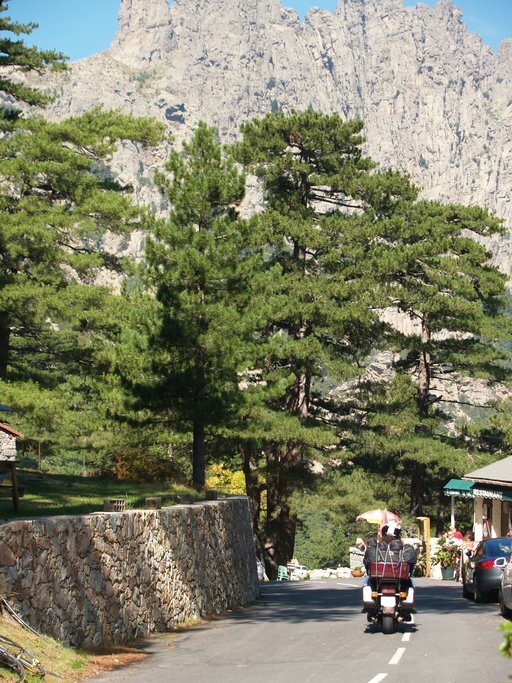 Along the way, you'll ride through the wild, little-known region of Nebbiu (Nebbio), where classic Corsican towns are framed by a backdrop of mountains or sweeping sea. If you arrive late in the day and can't make the Nebbiu drive before dark, head directly to your hotel in Bastia and make the most of the swimming pool, beach, and one of two Michelin-starred restaurants in town: Le Pirate or La Roya. When it comes to Corsica's must-see list, the Cape of Corsica - a 25 mile (40 km) peninsula at the island's northern tip - is right at the top. 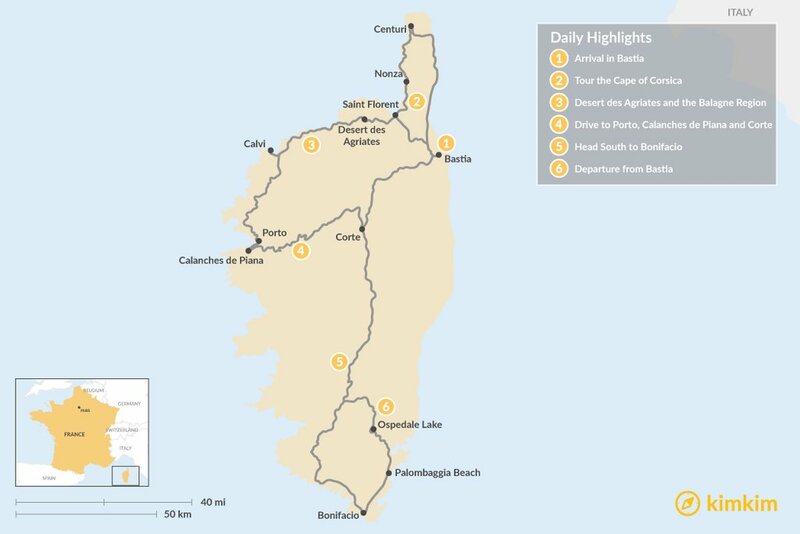 After a good breakfast, gear up for a day exploring the cape. 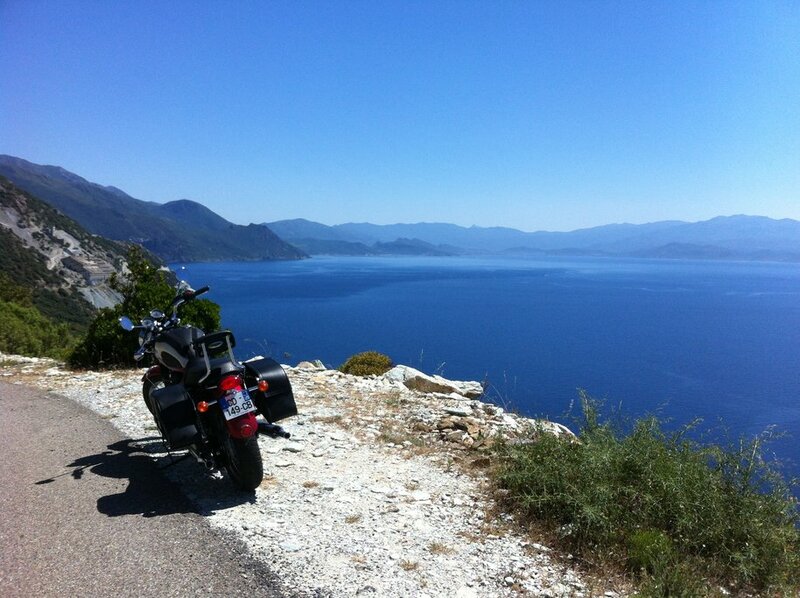 The undulating road along the east coast offers stunning views across to the Italian islands of Elba and Capraia, so plan for an obligatory photo stop. After crossing the remote end of the cape, stop for lunch at the tiny little fishing port of Centuri, famous for its fresh lobster. From there, the west coast becomes increasingly wild, with breathtaking views of craggy mountains cascading into the sea. Whenever you need a break from riding, take a breather at one of the many small creeks along the way. on't miss the village of Nonza, where La Sassa, one of the most spectacularly placed bars on Corsica, sits cliffside and offers patrons vast 360-degree views from the patio. Your third morning begins with a ride across the Désert des Agriates, a protected area of bright blue waters, rocky hills, and low green shrubs. 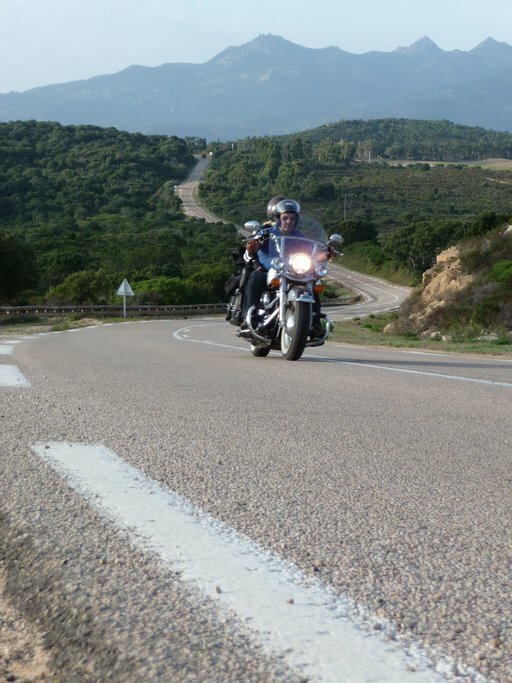 The winding road features continuous coastal views, leading local bikers to call this one of the best drives in all of Corsica. Once through Agriates, you can avoid the main road and explore little-known mountain paths instead, passing through olive groves lined with cactus and prickly pears. Watch the road closely here - in these typical Corsican villages, cows wander freely. Finally, you'll reach Calvi: a bustling port town that comes alive each evening with bars and restaurants full of locals. Stay here for the night. Wave farewell to Calvi and continue south. After crossing the river Fango, you'll climb to a magnificent viewpoint where you can admire the rugged coast and its zig-zagging line of road. Take a break in Porto, at the border of the Scandola Marine Nature Reserve, known for its jagged cliffs, grottos, and coves, or continue to the Calanches de Piana, a UNESCO World Heritage Site known for its striking red rocks. Finally, climb through the dramatic Gorges de la Spelunca where red rocks reach toward the sky, the river plunges into the earth, and half-moon-shaped bridges stand guard over the gorge. Pass through the Aitone Forest before reaching the ancient city of Corte in the true heart of Corsica. Head south from Corte and make a pit stop to check out a waterfall before taking another back road. The road is long and winds through the real heartland of Corsica, a place rarely visited by tourists. Eventually, the back roads join up with the main road, hugging the coast toward Bonifacio and passing some lovely beaches along the way. If you see one you like, stop for a swim or take time to relax in the sun. 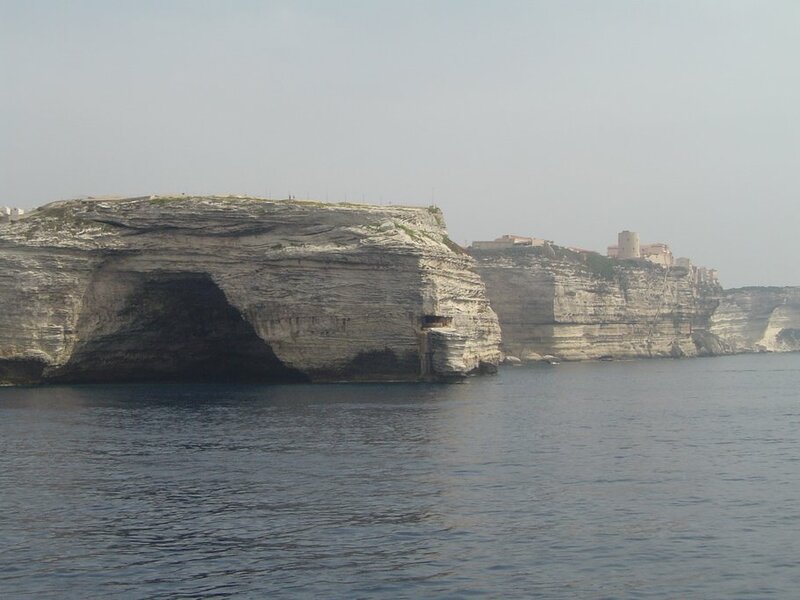 When you reach Bonifacio, a vibrant port town perched high on a cliff, make some time to wander the streets and take in the local culture before retiring to your hotel for the night. On your last day in Corsica, you'll avoid the direct route back to the north, which is full of traffic and tediously straight. Instead, head through the center of the island, taking a break at the famously lovely Palombaggia Beach or the Needles of Bavella, a group of towering, needle-shaped peaks. From Ospedale Lake, ride north through the villages that make the best charcuterie on Corsica, stopping for a taste if you have time. 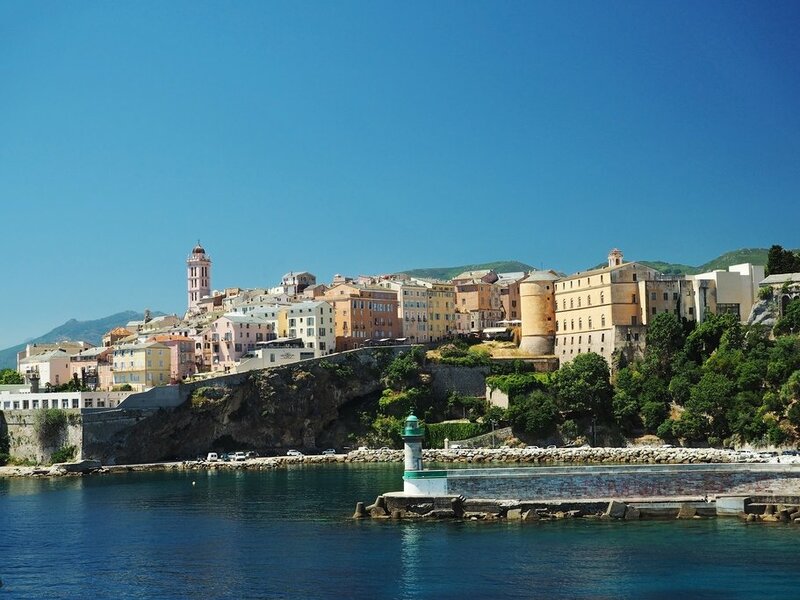 Once you're back in Corte, take the direct route back to Bastia for your flight or ferry.